- Applicable only upon the use of card for payment. - Applicable only with purchase using the bank’s card. - Minimum purchase of 2 tickets required. Limited to maximum purchase of 10 tickets per cardholder. 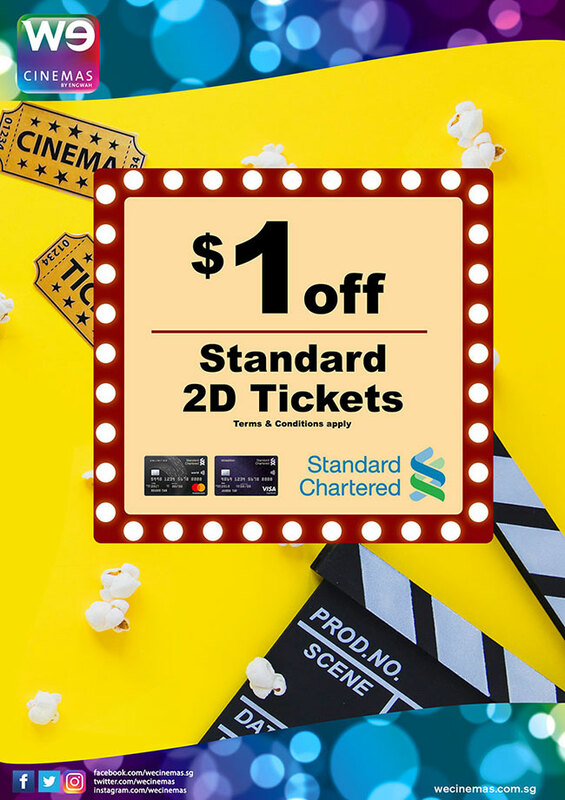 - Valid for Box Office purchases only. Offer not valid for bookings made online, kiosk, phone. - Only applicable for 2D, NOT for special screenings such as Atmos, HFR or 3D. 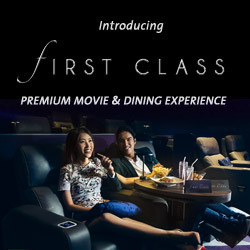 - Not valid for First Class tickets and premium-priced films. - Not valid on eve of public holidays and on public holidays. - Not to be used in conjunction with other corporate bookings, promos, privileges, discounts, vouchers, cards, coupons, unless otherwise stated. - Offer does not guarantee seating and admission Ticket (s) printed out is not refundable. - EW Private Limited reserves the right to amend any of the terms and conditions, and to withdraw this offer without prior notice.